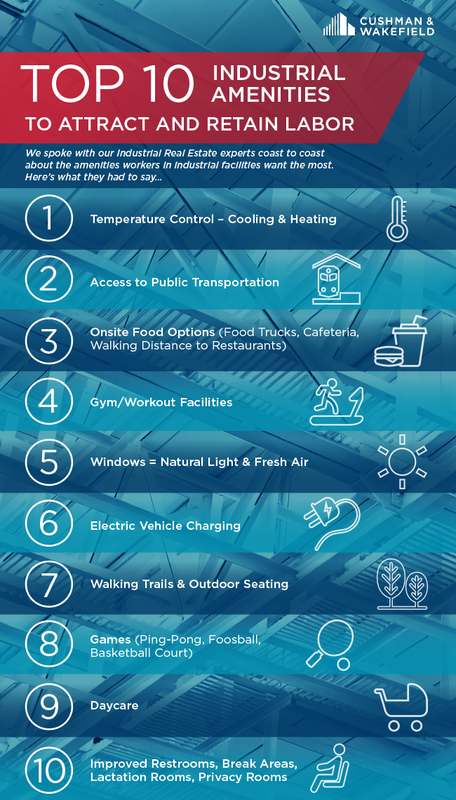 #728 – Top 10 Industrial Amenities to Attract & Retain Labor - Agracel, Inc.
What are you doing to attract and retain your labor force? According to a recent survey by Cushman & Wakefield, an international commercial real estate company, industrial is catching up to office in terms of ways to make their jobs more attractive to their workers. If these amenities aren’t in your short-term plan, maybe they should be.